a feature Fungi Walk on Sunday, March 24! In preparation of this event we thought folks might appreciate some info on what makes this kingdom so unique and fun to study. In this blog post we have included diagrams which describe different types of fungi; basic mushroom morphological parts and I.D. 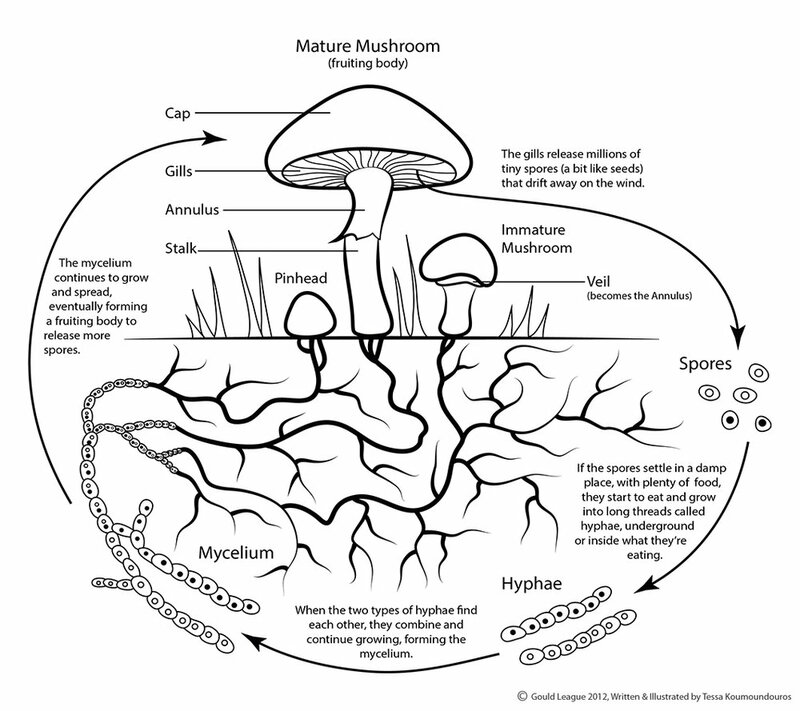 features; and the Mushroom Life Cycle, plus additional resources and photos. These were compiled by Lauren Re, instructor for the upcoming Fungi Walk. Group size will be limited to 20 participants. There are limited spots left, sign up soon as to not miss out! The Mushroom Life Cycle relies on spores to reproduce. What we find above soil is only the fruiting body of a larger organism, arising in seasonal time. These fruiting bodies can take on a variety of shapes, sizes, colors flavors and toxicity. Mycelium is the vegetative part of the fungus. Mycelium may be too small to observe with the naked eye, or massive like in the case of Armillaria ostoyae in our Cascade range. Look at the fine details, here are some things to notice. 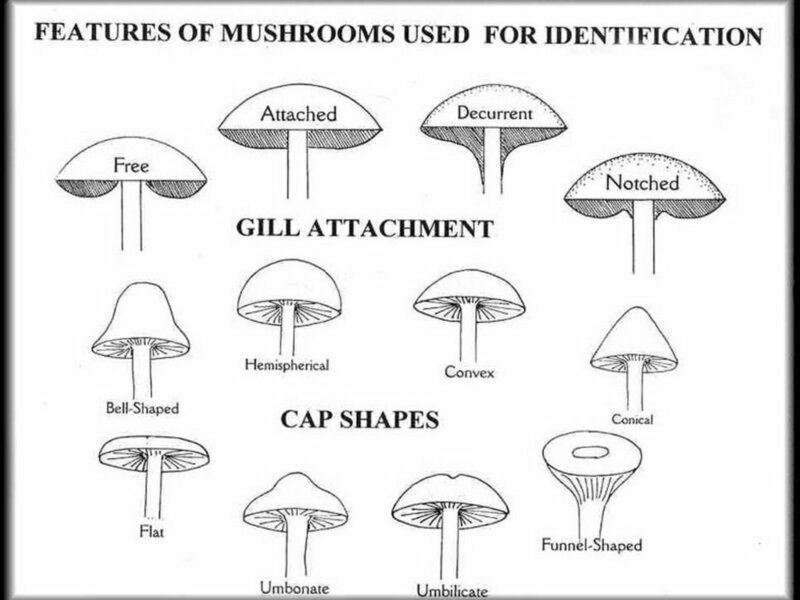 Shapes to consider when observing mushrooms. Look at the variety available in our backyard!